An unassuming, white, dome-shaped tent is pitched next to a former railway warehouse on the outskirts of Paris. Step inside and the walls are covered with colourful felt-tip drawings, with homemade furniture scattered around. From morning to midday, the dome gradually fills with people speaking many different languages. Some are regulars, others are tentatively visiting for the first time. This is Good Chance Theatre, set up for refugees and migrants on the periphery of the French capital, near the ‘welcome centre’ where men go to begin the asylum process. Founded by British playwrights Joe Murphy and Joe Robertson, the pop-up theatre has been at La Station – Gare des Mines for a month. The Joes, as everyone calls them, originally set up Good Chance in the middle of the busy Calais Jungle, after they visited the migrant camp and decided they needed to help in some way. Supported by leading figures in British theatre, including Sonia Friedman, Stephen Daldry, and Young Vic artistic director David Lan, Good Chance created work with migrants in the camp for seven months. The theatre became a ‘safe space’ for people when there were clashes between the police and the camp’s residents, which sometimes happened so close that tear gas blew inside. While the dome was safe from evictions, residents of the camp were not, and eventually the Joes decided to dismantle the tent when refugees were no longer able to reach it through police lines. Still determined to make a difference, the pair decided to relocate to Paris to help the many refugees living on the streets of the French capital to be able to “see things differently” and allow those in a desperate situation to leave the theatre feeling even “a little bit better and different”. 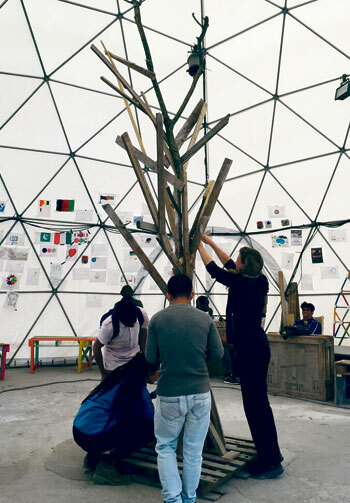 Forty refugee volunteers helped to set up the new dome over the course of two days. Now they are no longer in the middle of a camp, Good Chance volunteers walk to the nearby welcome centre and smaller roadside camps every morning to tell people about the theatre. “And you’ll enjoy it, I promise!” Robertson adds. Despite their apprehension, 50 people turned up on the first day and Good Chance worked with about 2,000 refugees during its four weeks at La Station. 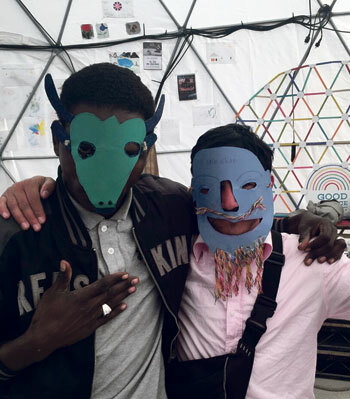 The Joes ran an artistic programme of workshops led by refugee, French and international artists each week, finishing with a ‘Hope Show’ every Saturday to allow participants to share their creations. From the moment I arrive at Good Chance, I feel as if I am absorbed by the place. Within an hour, I am serving hot drinks to new arrivals alongside the volunteers, before being encouraged to join an improvisational theatre game led by Murphy. By the end of the day, I’ve danced in a hip-hop workshop and been dragged on stage to sing a solo of Happy Birthday. The Joes tell me about a migrant called Karim, whose first words to them were ‘I am a very small man and I can do nothing.’ But by the following week Karim was leading exercise classes and, by the time I met him, he was welcoming new visitors and performing as a king in Murphy’s workshop. Outside, people sit on benches talking, smoking, building puzzles and drawing pictures. 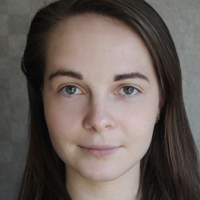 A company called Data Glitch runs a workshop on repurposing old toys, while, in the theatre, jazz vocalist Helen McDonald exchanges song with refugees. 1.The theatre’s name comes from a popular phrase used by people in the Calais Jungle camp – ‘good chance’ or ‘no chance’ – which referred to the likelihood of crossing the border that night. 2. In 2016 Good Chance ran the second most successful crowdfunding campaign in arts history in the UK (after Ai Weiwei), raising more than £45,000. 3. Some of the varied activities to have taken place at Good Chance during its time at La Station and in Calais include fashion shows, a carpentry workshop, kung fu classes, yoga, poetry slams and circus activities. 4. The two Joes have known each other for seven years, and they first met when they performed in a production of The Taming of the Shrew at Oxford University where they both studied English. Every refugee knows someone who cares about him. I speak to another refugee, a choreographer from Sudan called Hassan Jozolee, who ran the hip-hop workshop. He likens being able to dance to “being alive again.” “Teaching people dancing does so many psychological things, you forget all your problems, you are capable of doing anything,” he tells me. When activities finish at 5pm, I sit down with the Joes. Murphy tells me that he believes there are “three big reasons” to be there: the growing population of refugees in desperate conditions, Brexit and the then-imminent French election. 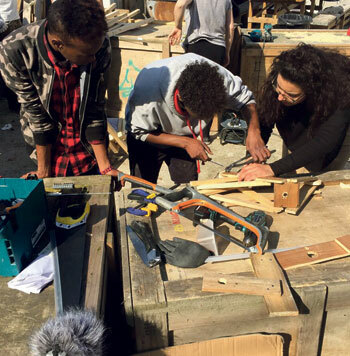 Good Chance has now migrated to Theatre de la Ville in the centre of Paris for the duration of the Chantiers d’Europe festival until May 24, where it will continue to work with refugees who have successfully claimed asylum. 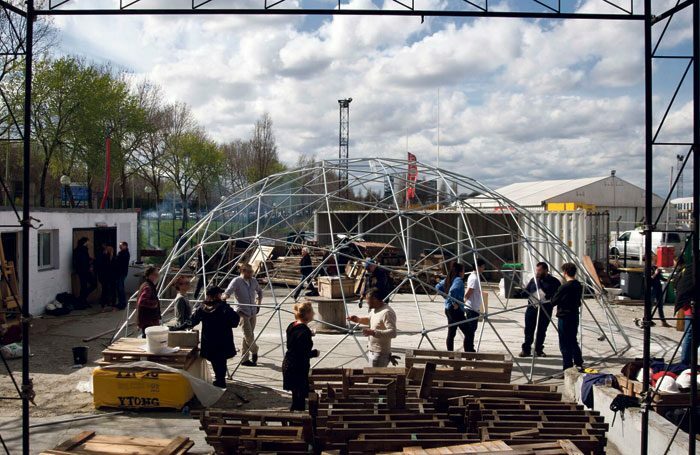 After this, the Joes hope the dome will move around Paris to continue to help refugees who are living on the streets. They are hoping to return to La Station in October, but then the future is unclear.